Online Hotel Reservations can now be made by following this direct link, or you may download this form and email it to Amanda Young (amanda.young@pinechemicals.org). We have negotiated a discounted rate with the conference hotel and encourage you to stay directly at the Ritz Carlton for ease of access to the conference activities. Note: Hotel Reservations must be made by 24 August 2016. *For more information please visit the HOTEL page on our website. Register online to attend the International conference or use this form. If you require a Letter of Invitation for visa purposes, PCA will send a letter to support your visa application once you have registered for the course or conference. 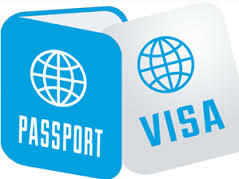 Request a Letter of Invitation to apply for a VISA using this form. For more information regarding the International Conference, Registration, and/or Hotel Reservations, please visit us at www.pinechemicals.org/mpage/2016ICHome.